When travelling abroad, most people plan and budget keeping the big expenses in mind like airfare, accommodation and per day food expenses abroad. However, no matter how much you plan your travel, going abroad is taking a plunge into the unknown. You may easily run into unexpected small expenses that you never factored in your budget. These hidden expenses can throw your budget out of control and wipe your wallet clean. Read on to know how to avoid 10 hidden travel expenses and enjoy your trip abroad. Hidden expenses will spring a surprise on you and that too not the pleasant kind. 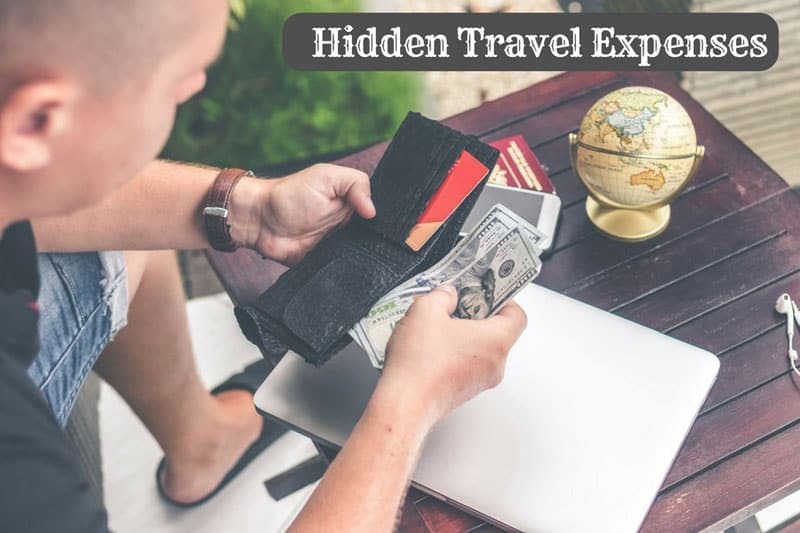 Let us take a look at the 10 hidden travel expenses and what you can do to avoid them. Save money on hidden expense and utilise it for enjoying your trip abroad. When you go abroad, you need foreign currency for spending money there. Banks and money changers can provide you foreign currency by exchanging it for your local currency. However, the exchange rate that you find in Google will not be the one offered by them. They need to make a profit on their service and thus they will overcharge customers. Airport exchanges are the worst as they know customers are buying forex at the last minute and thus they charge atrocious rates, typically anywhere between 3 to 10% of the transaction value as foreign exchange fees! By buying foreign currency at the best exchange rate without getting overcharged by forex vendors. ExTravelMoney.com is an online aggregator of forex services in India that lets you compare the exchange rates of forex offered by different banks and money changers in India. You can search for the best forex rates specifically near you by providing your location. The online platform lets you freeze the exchange rates, place the order online and even get the foreign currency delivered to your address! The foreign currency is delivered on the same day of placing the online order. So no need to have any last minute forex woes. Avoid forex stores that rip you off and instead choose the best rates to save money on your forex transactions. Also, read about 10 things you should know before buying foreign exchange in India. If you are having an international credit/debit card, then you may rely on them for payments abroad. However, you need to comb through the fine print of your card before deciding to use it for international payments. Because hidden in there may be Dynamic Currency Conversion (DCC), unfair exchange rates by your card company, foreign transaction fee and ATM use abroad fee etc (this can be a flat fee $4 to $6 + 1 to 3% of the money you are withdrawing). DCC is an option the PoS merchant gives you. It means you can make the PoS machine show the cost of your transaction in your local currency. However, for paying in this converted amount, a charge will be levied on you. 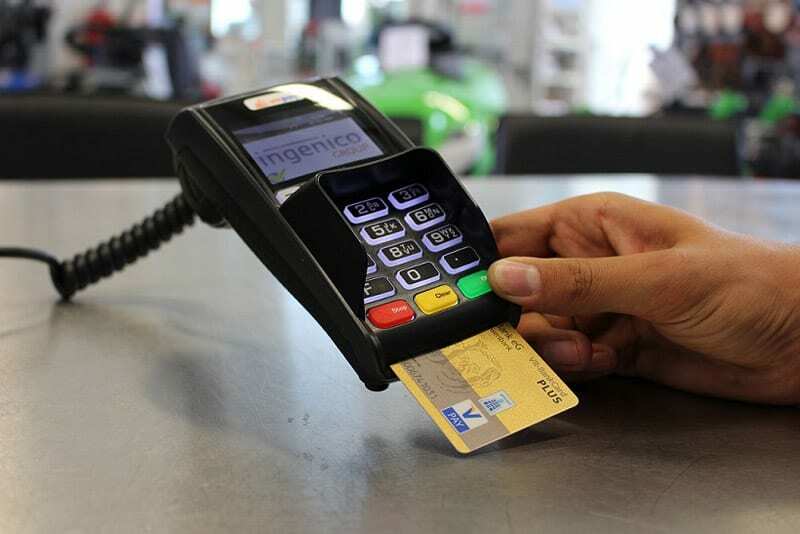 One swipe at PoS machines or ATMs you encounter abroad can swipe your bank balance really fast. Use a prepaid forex travel card, a better alternative to using credit/debit cards abroad. A forex card allows you to load foreign currency in it at fixed exchange rates. 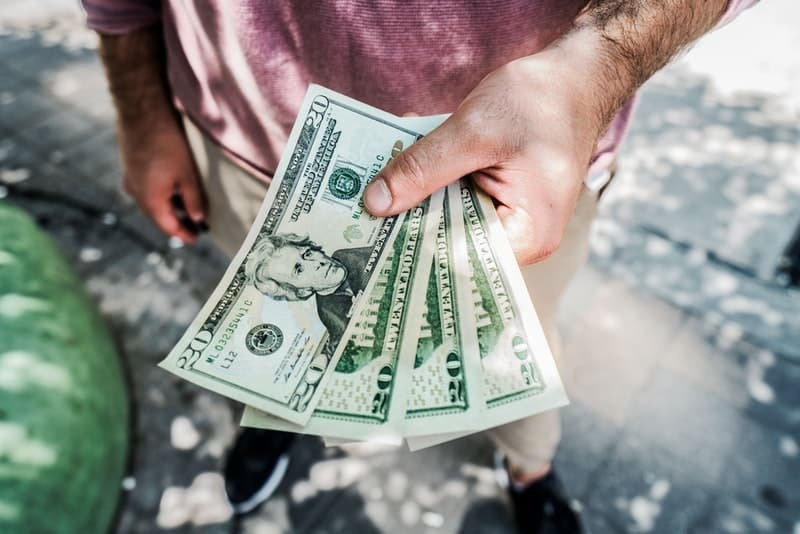 For example, if you load 1000 US dollars in your forex card, then the amount in it stays the same regardless of the fluctuation in US dollar rate in the foreign exchange market. Forex cards offer many advantages over a credit/debit card when used abroad. The exchange rate at which you load foreign currencies in them will be better than the exchange rates given by your credit/debit card company when using them abroad. Forex cards usually have the 1st three ATM withdrawals abroad free. After this, a flat will be levied on each ATM transaction abroad but this fee will be way lesser than the credit/debit card ATM fee of a flat fee + 1 to 3% of ATM transaction. Also, using a forex card in PoS machines carries absolutely no extra costs whatsoever! So, carry a forex card to avoid credit/debit card fees abroad. For more information, read about the comparison of forex card with debit card and credit card. You can compare exchange rates for prepaid travel cards offered by many banks and money changers near your location and book forex card online at the best rate from ExTravelMoney. In 2016, airlines in the US collected around $7.1 billion in baggage fees! Airline baggage fees are one of the most annoying and inconvenient hidden fees for travellers. 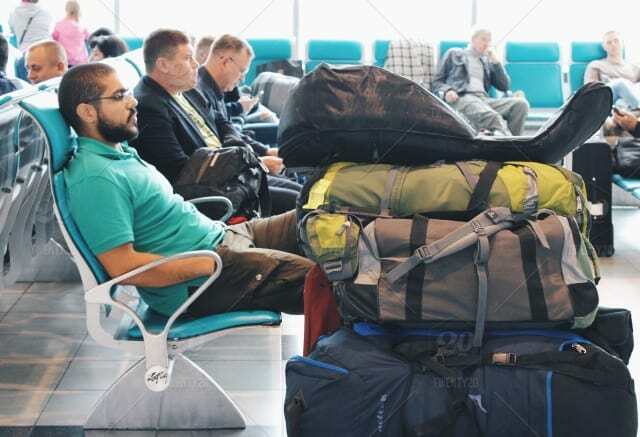 There are basically two types of baggage when it comes to airlines, checked baggage which goes to the aircraft hold area and hand/carry-on baggage which you can carry along with you. If you are travelling to the US, then it is not uncommon to see air carriers charge outrageous fees for baggage. Carry on baggage in a basic economy flight may cost you anywhere from free to $25! First two Checked bags may be free or cost up to $50 each. Subsequent bags may be charged anywhere between $50 to $150 each! Now imagine doing an air travel both to and fro to a destination, especially if you are going with your family. For a family of four having carry-on baggage each, a round trip may end up costing the family easily around $25*4*2 = $200! Oh yeah, we forgot to mention that if your bags are above the prescribed weight limit by the airlines, then you’ll be hit with an overweight baggage fee too which could cost you up to $50 per overweight bag. Baggage fees may end up bankrupting you! Conventional wisdom dictates you travel light and pack the minimum required stuff while travelling abroad. But you need more than conventional wisdom for avoiding the scourge of baggage fees. While booking your tickets, check if your airlines allows free baggage and in what weight range. If you have weighing scales at home, get your baggage weighed and check whether they fall within the prescribed weight limits. Redistribute the weight from bags that weigh more to bags that weigh less. If you are carrying sweaters or heavy clothing in your bag, you may consider wearing them while travelling and reducing the weight in your bag. Here is an interesting account of a British man who wore 10 shirts and 8 pants to avoid excess baggage fees. 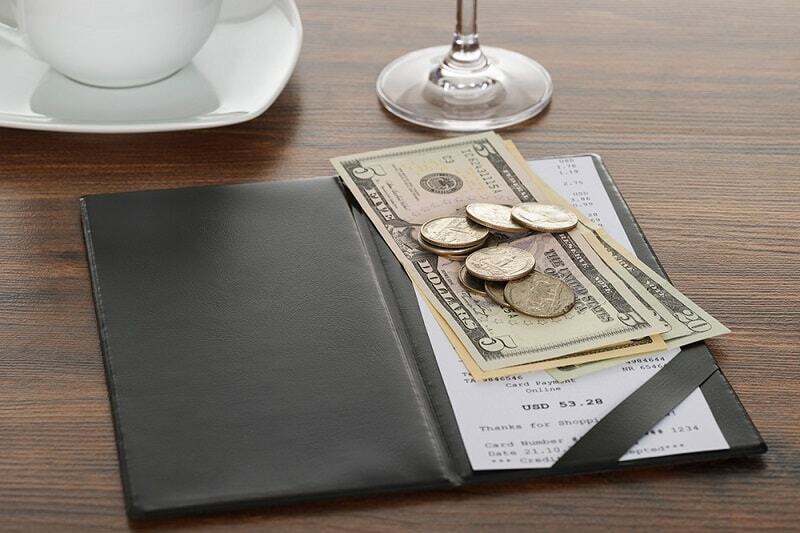 When travelling, especially in western countries, tipping is going to be adding up to your daily expenses. Going to a hotel in a cab? well, don’t forget to tip your cab driver. The friendly hotel staff approaching you to help you with your bags, well that’s the bellhop and yes, you need to tip for that too. The hotel maid comes in to tidy up your room, guess what, look around for spare change for tipping. All in all, a tip could offset you by minimum $3 to $5 each time you are giving it. Blame it on the western governments, especially the US, for not enforcing a minimum wage for these type of service jobs and forcing the staff to supplant their income through tips. By paying attention you can save money on tips and plan in advance the extra amount you need to consider taking for your trip abroad. While avoiding tipping is going to be difficult in foreign countries, you can handle it in a way that saves you money. Include provision for tips in your travel finances. Before travelling to a country, become familiar with their tipping culture. For example, many countries in Europe automatically add the cost of tips to your bill. So pay attention to the bill to not end up tipping twice, once through your bill and again to your server. Also, you can choose to stay in hostels instead of hotels, if you want to avoid tipping altogether. Hostels are based on self-service. You are given a comfortable bed to sleep on, a locker to keep your stuff, a common bathroom to use and expected to take care of yourself. Also, hostels in Europe offer complimentary breakfasts too (self-serving). Tax is another hidden expense you ought to look out for. Some countries impose high tourism taxes on hotels, restaurants and other tourism-related services. Also, If you are booking your hotel stay abroad via third-party websites, the cost of your stay may be quoted without including the tax amount. These taxes will add up every day you are staying abroad and become a substantial overhead on your expenses. Tax, if applicable on your stay abroad, cannot be avoided as such. However, you can avoid being given a bad surprise by way of tax charges at the end of your hotel stay abroad. Read the fine print of the terms and conditions when booking your hotel stay through third party websites, to ensure that taxes are included. 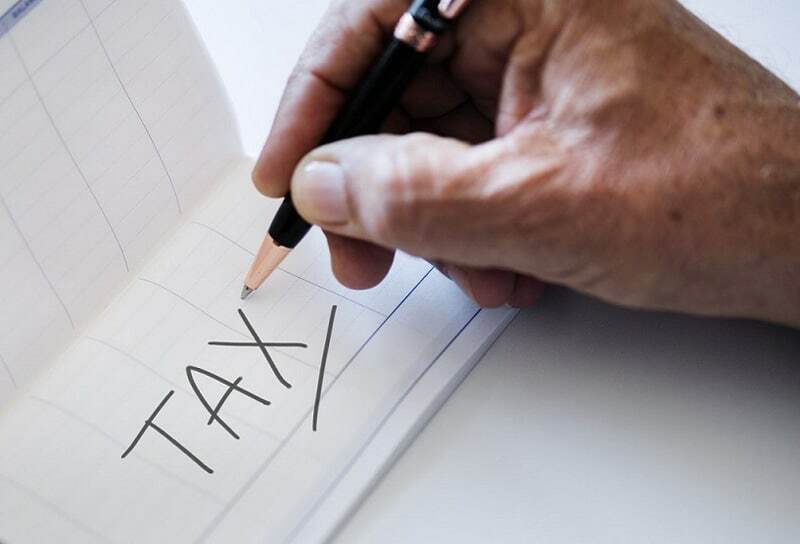 As soon as you arrive at your hotel, speak with the front desk regarding tax charges if any on using the hotel services such as laundry and wifi etc. When you are aware of the applicable taxes, you’d be in a better position to avoid and manage them. 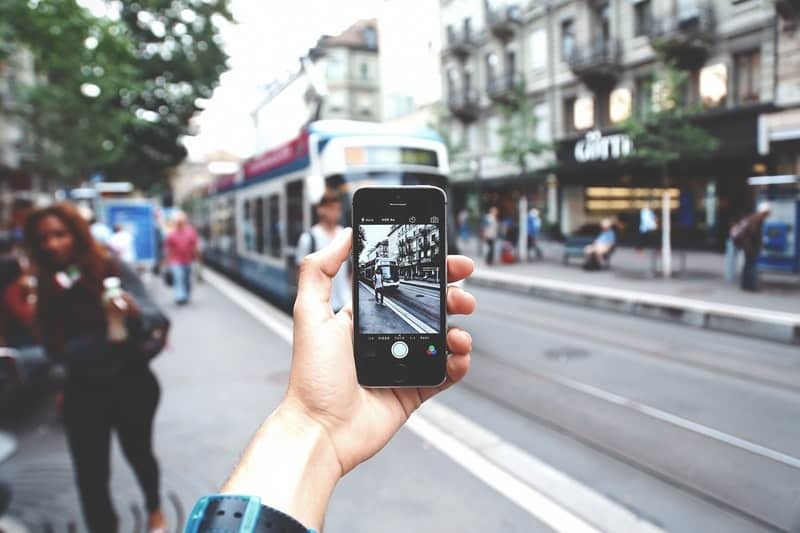 When travelling abroad, one of the most useful devices we are going to be carrying is our smartphone. It lets us take photos, keep in touch with family and friends back home, help in hailing cabs, booking hotel stays, looking up locations through maps and document our travel abroad in social media. However, if you are not careful, your mobile’s international roaming charges will end up costing you a fortune. Simply receiving a “Happy Journey” message from your friends, after landing abroad, could in itself rack up huge international roaming charges for. So what can you do to avoid high international mobile roaming charges while still being able to use your phone abroad? Contact your mobile service provider and enquire if they have international packages on data and calling for your use abroad. If you are using an unlocked phone (a phone which can be used with any network provider or carrier) and if you are going away for more than two weeks, it makes sense to purchase a local SIM card of the country you are going to. Alternatively, if you are going abroad for a short period, put your phone in airplane mode and make use of public WiFi wherever available. Use apps like Whatsapp and Skype for making calls while on WiFi connection. Also, consider downloading guidebooks and necessary maps in advance and saving it offline to be viewed later when needed. When you are travelling abroad, there is a higher chance of falling sick or experiencing health-related discomforts than at home. We are going to cross paths with a lot of people some of whom may be having a cold themselves. Also, when travelling, sometimes your body may not be able to acclimatize to the climate abroad. If it’s a medical emergency or injury which requires you to immediately fly back home, the last minute flight tickets will cost you a fortune. Whatever the case be, if you fall sick when travelling abroad, be prepared for a lot of expenditure on treatment and hospital fees abroad. Medical care abroad can be really expensive, especially in the developed countries like the US. Here is how you can avoid high medical bills abroad if hospitalized. The best way to avoid unpleasant ill-health surprises is by taking all the necessary vaccinations before going to a country abroad. Some countries have made vaccinations mandatory for entering their soil by requiring proof of immunization as one of the documents required for entry. 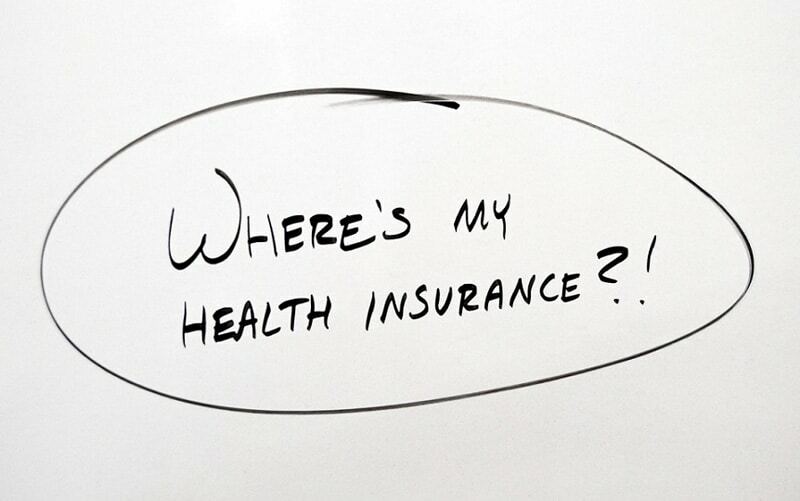 Furthermore, consider opting for a travel insurance which also covers emergency medical expenses abroad. Each insurance plan is different so buy one that suits you best. Some plans even reimburse missed flights and activities you paid for but couldn’t take part in because of your health problems. 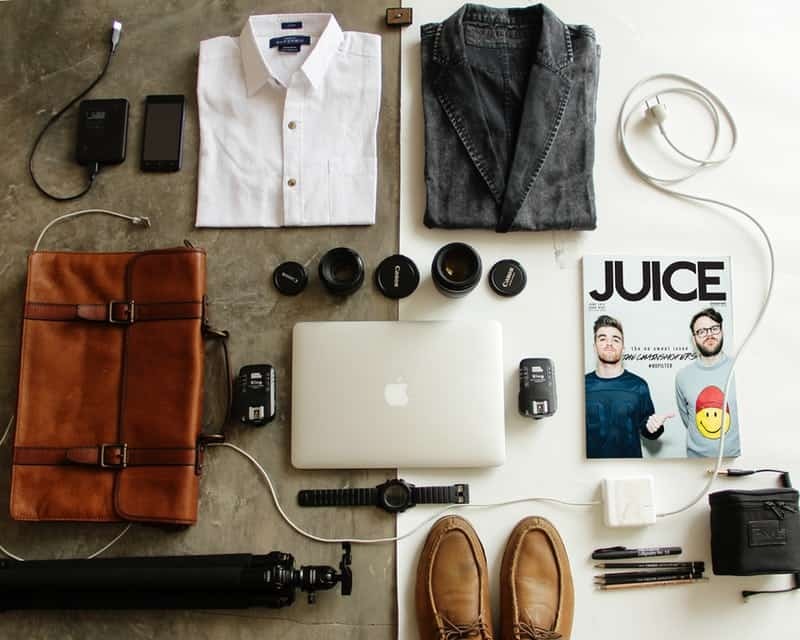 If you forget to pack correctly, forget to take all the necessary items needed for your day to day life when going abroad, then your travel costs are going to shoot up. For example, if you are travelling to the UK between the months of August and November, then a rainy day is a given. Not taking an umbrella along is going to cost you around £20-25 (roughly Rs 2,000 at today’s British pound exchange rate in India) for a new umbrella in the UK. Similarly, if you are going to a country during winter and don’t have proper clothing, you are going to have to spend money on buying winter clothes abroad, driving costs up! So what are the essential items that you should definitely get along from your home and not pay an arm and a leg for the same abroad? Prevention is better than cure. When you are travelling abroad, make sure to take proper clothing with you. Summer clothes, winter clothes or gloves for cold protection etc. Know in advance the general weather pattern of the country you are going to and accordingly pack an umbrella, thermals etc. If you are staying at budget hostels, then your stay might not entitle you to necessary toiletries. So, instead of spending a fortune on a soap, brush, deodorant, and shower gel abroad, remember to bring some from home. Also, invest in a universal charger and don’t forget the charger pin for your mobile, camera or laptop. If your old footwear breaks or gets torn while travelling you’d have to shell out additional money on them. Consider buying new footwear before leaving abroad. 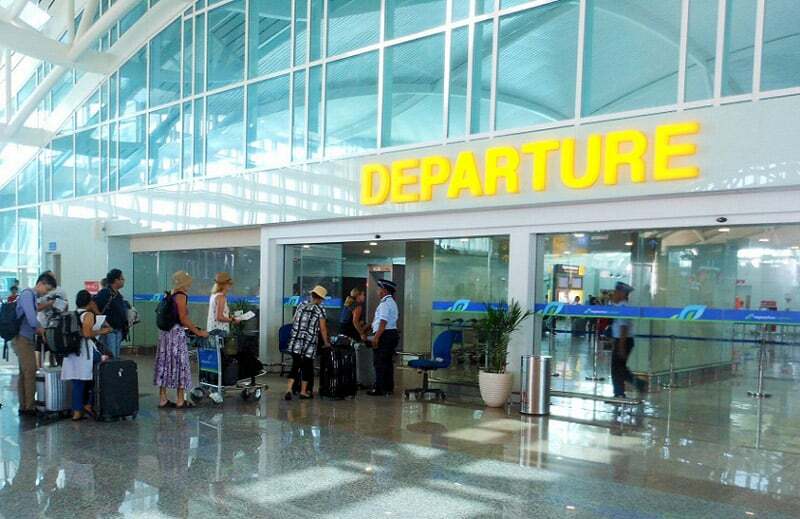 Imagine you’ve landed abroad, collected your baggage and are about to exit the airport. There is a very high chance that you’d be tired from your air travel and would simply want to go to your hotel fast. So you might choose a taxi available just outside the airport to shuttle you there. However, taxicabs abroad cost a lot. Being in a foreign land and not knowing the way, you may increasingly find yourself relying on taxis. 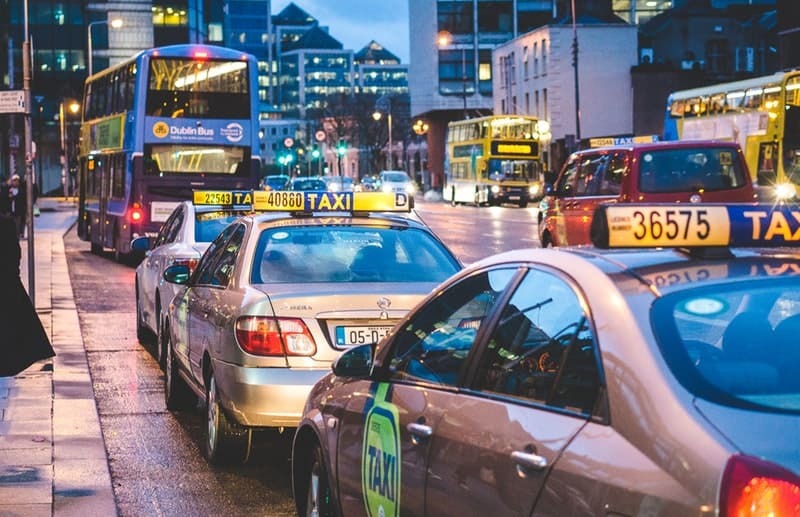 Your daily transportation costs abroad can quickly empty your bank account if you constantly opt for taxis. So what can you do to manage transportation costs abroad? Do advanced research before heading abroad and learn about the different transportation methods available in that country. Look up the distance from the airport to your hotel and the different ways of reaching your destination from the airport. Usually, using that city’s public transportation might be the cheapest possible way to do it. Alternatively, Uber and Lyft are marginally cheaper than taxicabs and provide the same level of comfort getting around. Also, look up trains, subways, buses and other modes of public transport that can significantly reduce your travel expenditure. Plan your budget keeping in mind the daily transportation costs and keep some extra cash to cover these expenses. This is one of the most surprising hidden travel costs, hitting you when you least expect it. Exit Fees or Departure Tax is levied on travellers who are flying out of a country (even if the country was a just a layover in your travel). Imagine queuing up in the line for your flight back home at the end stage of your travel, having spent lots of money abroad, and being told you need to pay up further if you want to exit the country. It’s not the best of situations to be in. Not all countries charge a Departure Tax but many countries do. Most of the times it’s included in your airfare but it may also be charged separately (as cash or through debit/credit cards) when going through immigration abroad and exiting the country. Exit fees are usually around $20 to $30 but can be even higher, case in point being Australia – $45 & Fiji – $125!! Like some of the other costs mentioned in this post (Tipping & Tax), exit fee is not avoidable. However, prior knowledge of it can help you manage this additional hidden cost. Research before you go about the Exit Fees of the country you are going to, even if it’s a layover, and account for it in your budget. If you are booking a tour package, contact your tour agent and check if their package cost also includes Exit Fees. Remember, researching and planning ahead can help you avoid many of the unpleasant surprises given by hidden expenses when travelling abroad. Hope you found this post informative on how to avoid and manage such expenses. Have any hidden costs of travel abroad that you wish to share with us? Mention in the comments below!